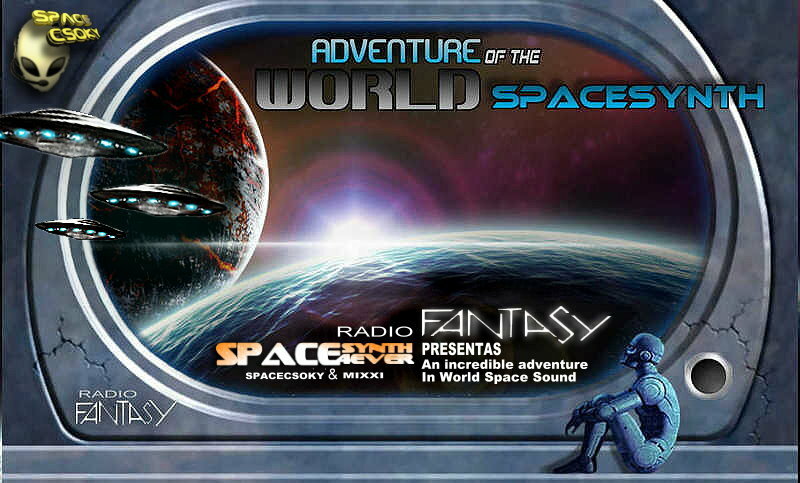 New Show every wednesday evening : "Adventures in the World of SpaceSynth"
From October 5th on, you can listen to a brand new show full of SpaceSynth music. The show starts on 8:00 PM and ends on 9:00 PM. If Space is the place for you, make sure to tune in! Welcome!! I’ll Hope it’s gonna be a great succes!! Welcome on board! I look forward to more space on Fantasy! Hello my Spacefriend ( SpaceCsoky ). Now Playing: FALSE!!! NOT TRUE!!! I wrote NO! – October 12 Comment! Very Good!!!!!! Real Music In Radio Fantasy!!! Imádom az italo discot . Fantasy radio ! My best radio ! 2012. 01. 06. Hungary Budapest ! Radio Fantasy, The Best Program!! !